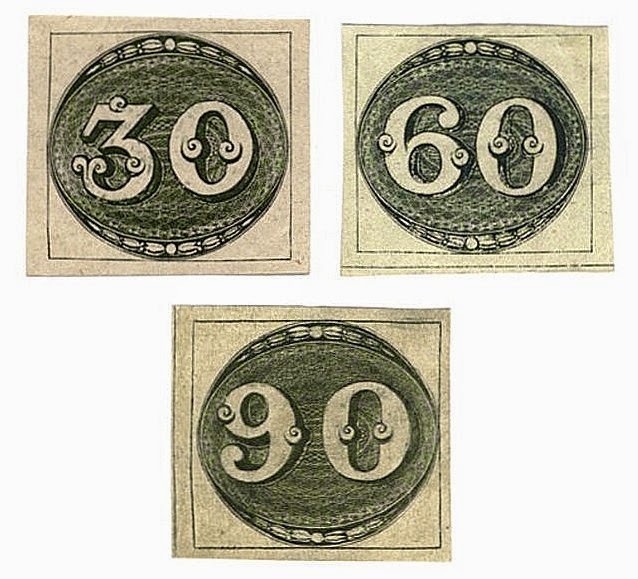 In 1843, Brazil issued its first stamps - a set of three, each of which bore a numeral within an oval ornamental design (Scott #1-3). 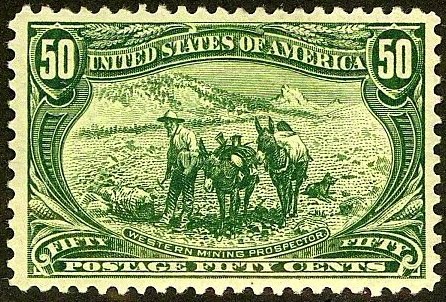 These stamps later became known as the "Bull's Eyes" because the arrangement of the stamps in the sheet permitted se-tenant pairs which resembled a pair of bull's eyes. 1,148,994 #1, 1,502,142 of #2, and 349,182 of #3 were issued, and Scott '15 prices them unused and used at $4,500.00/$550.00 for #1, $600.00/$300.00 for #2, and $4,000.00/$1,400.00 for #3. Brazil was the second country in the world, after Great Britain, to issue postage stamps valid within the entire country (as opposed to a local issue). The Bull's Eyes are far less famous (and far more scarce) than Great Britain's Penny Black, of which almost 69 million were issued. I consider stamps to be a conservative investment in the growth of Brazil's economy, middle class, and stamp collecting community. With 191 million people, Brazil is the largest economy in Latin America, and the world's eighth largest. Political and economic reforms have given the country a brighter future than it had in the bad old days of oligarchical dictatorship. The Brazilian economy is diverse, the country is aggressively investing in its future by generously funding technological research and education, and exports are booming. Annual GDP growth has averaged a little over 2.5% over the last 5 years. There are a number of undervalued Brazilian issues with low printing quantities, some of which have topical appeal, and recommending them for accumulation seems a no-brainer. Brazil looks destined to become an economic superpower, and even if it mirrors the philatelically anemic U.S. and only one out of a thousand Brazilians become serious stamp collectors, they'll be competing for their nation's better stamps, only to find that the cupboard is bare.